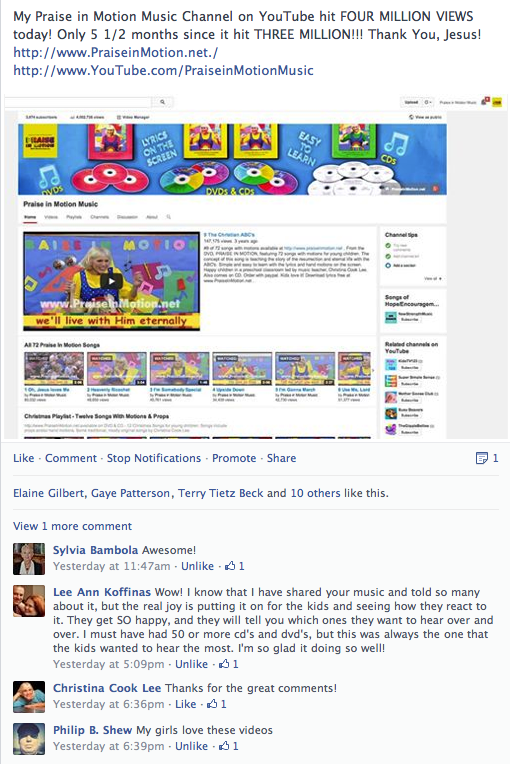 So excited to share great songs with motions for little ones! We love to have people watch our playlist of 72 songs for FREE on YouTube! People who want to own the collection of songs in higher res files can order DVDs and CDs from our website at: http://www.praiseinmotion.net.